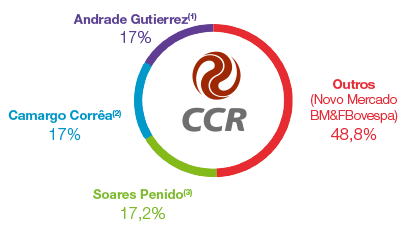 In 2014, the CCR Group completed 15 years of activity in the infrastructure concession area and has established itself as one of the largest companies in Latin America in its sector. 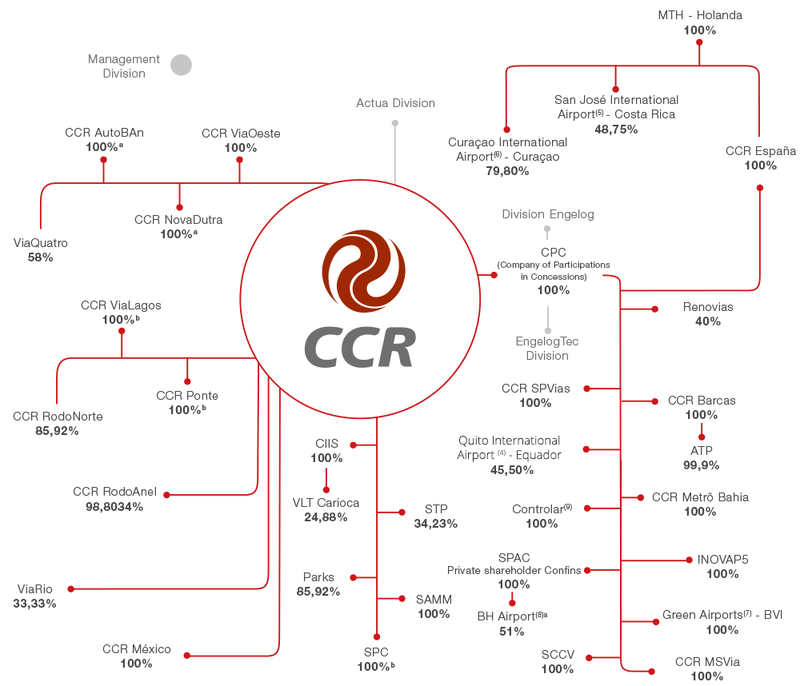 The holding company CCR S.A. controls, individually or together with other companies, 11 highway concessions and 4 of urban mobility. 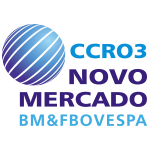 Focused on diversifying its investments and assets, the CCR Group also operates in the airport segment, participating in concessions in one airport in Brazil (Confins) and 3 more in South and Central America (Quito, Costa Rica and Curaçao). The CCR Group is responsible for managing 3,284 km of highways in the states of Mato Grosso do Sul, Paraná, Rio de Janeiro and Sao Paulo. The first concession won by the Company 20 years ago was the Rio-Niterói Bridge, managed by CCR Ponte. In 2014 approximately 56.3 million vehicles crossed the bridge. The most recent highway to become part of the Company’s portfolio is BR-163, operated by the concessionaire CCR MSVia, whose bid won in December 2013. On this road, important for the flow of grain in Mato Grosso do Sul, the concessionaire will invest a total of R$5.69 billion and will carry out the duplication of the lanes on the entire length of its stretch of the road in up to five years. (a) and (b) Direct and indirect participation through its subsidiaries (a) CPC or (b) CIIS. 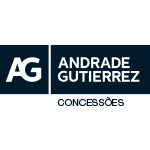 (1) Includes shares held by Andrade Gutierrez Concessões S.A. and AGC Participações Ltda, companies belonged to the Andrade Gutierrez Group. 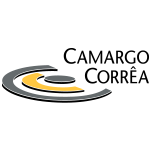 (2) Includes shares held by Camargo Corrêa Investimentos em Infra-Estrutura S.A. and VBC Energia S.A., companies belonged to the Camargo Corrêa Group. 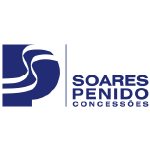 (3) Includes shares held by Soares Penido Concessões S.A. and Soares Penido Obras, Construções e Investimentos S.A., companies belonged to the Soares Penido Group. (4) Through the acquisition of 100% of companies CCR España Empreendimientos S.A., Alba Participations Inc., Alba Concessions Inc. and their subsidiaries and 45.5% of the share acquisition and voting rights of FTZ Development S.A., and indirect control acquisition of Ícaros Development Corporation S.A., Quiport Holdings S.A., Corporación Quiport S.A. and Quito Airport Consortium Inc. (5) Through the acquisition of 100% of companies CCR Costa Rica Empreendimientos S.A., and indirect control acquisition of Desarrollos de Aeropuerto AAH Sociedad de Responsabilidad Limitada, Grupo de Aeropuertos Internacional AAH Sociedad de Responsabilidad Limitada, Terminal Aerea General AAH Sociedad de Responsabilidad Limitada, and Aeris Holding Costa Rica S.A. (6) Through the acquisition of 80% of “Companhia de Participações Aeroportuárias” (formerly denominated A-Port S.A.), resulting in the indirect control acquisition of Curaçao Airport Investment N.V. (CAI), Curaçao Airport Real Estate N.V. (CARE), Curacao Airport Partners N.V. (CAP) and additional acquisition of 39% CAI’s capital stock. (7) Green Airports Inc holds 50% of Inversiones Bancnat Inc., which, in turn, holds 100% of IBSA Finance (Barbados) Inc.’s capital, connected to San Jose’s International Airport project - Costa Rica (8) SPAC’s wholly-owned subsidiary whose company name is “Concessionária do Aeroporto Internacional de Confins S.A”. On March 10, 2014, it was composed of SPAC (51%) and INFRAERO (49%), as per the respective Call Notice. (9) Settlement phase.